When planning for a long-term cabling solution for your data center, it is important to consider future transmission speeds and the infrastructure to support them. Data center houses equipment like servers, storage units, backup power supplies and other equipment, which act as the heart of a building or campus. And all these equipment require high-bandwidth cables to connect them. 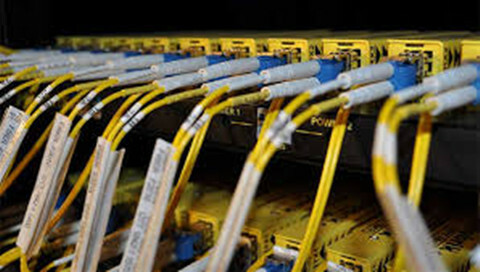 The cabling in data center mainly comes in two forms—fiber or copper. To link the devices in data center, unshielded twisted pair (Cat5e/Cat6) and fiber optic fibers (MM fiber patch cords and single-mode fiber) are commonly used. 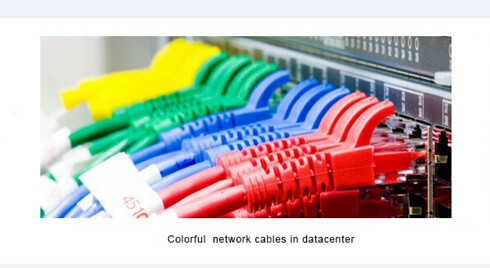 This article will focus on cabling solution for data center, and provide the cost-effective solution to you. 2006 witnessed the publication of the the IEEE 802.3an standard, meaning that users can use the twisted copper cabling or 10GBASE-T to support 10 Gigabit Ethernet. Compared with the former IEEE 802.3ak or 10GBASE-CX4 standard, 10GBASE-T standard has the advantage of supporting 10 Gigabit Ethernet up to 100 meters. What’s more, the 10GBASE-T using structured wiring systems based on the RJ45 connector is less costly than the 10G optical transceivers for supporting the same Gigabit Ethernet. All this attributes to the development of the copper twisted-pair cabling for horizontal, or non-backbone, distribution between LAN switches and servers. UTP (unshielded twisted pair) cabling is a widely adopted copper cabling solution due to its support for both voice and data applications. A UTP cable consists of insulated, copper wires twisted around each other to reduce crosstalk and electromagnetic induction between pairs. Typically a twisted pair will be enclosed in a shield (STP) that works as a ground; in other cases (UTP), the pair remains unshielded. UTP cables are often referred to as a Category cable, such as Cat5e, Cat6, or Cat7, etc. Cat5e cables had been the standard solution and often used for legacy equipment or lower bandwidth needs. But Cat6 is the most common copper type in new installations today, especially for 10G Ethernet application. Cat5e will soon be going away, with available options being Cat6, Cat6a and Cat7. These options offer increased levels of performance and improved installations. All of these cable types can adequately provide you a connection. The differences between them lie in their transmission speed capabilities and costs. In a data center, bandwidth distributed to servers and other devices may range from 1 Gbqs to 10 Gbqs or more depending on application and data center models. Fiber optic cabling are usually worshiped by overall users owing to numerous advantages. For instance, compared with copper cabling, fiber systems can provide up to 60 percent space savings over copper cabling, and it also have a greater bandwidth and error-free transmission over longer distances allowing network designers to take advantage of new data center architectures. In practical terms, fiber cables are comprised of light, which reduces signal interruption, allowing for signals to be carried longer distances seamlessly. Though fiber cables are highly sought after, the cost to purchase and install has decreased throughout the years, making them a reasonable choice for companies seeking a reliable, scalable solution. The fiber optic cables can be mainly divided into two parts, that’s multimode and single-mode fibers. The multimode fiber type can be separated into categories: OM1, OM2, OM3, OM4. Applied for short distances, multimode fibers have a high light-gathering capacity, meaning the use of lower cost, lower wavelength technologies like LED and vertical-cavity surface-emitting lasers (VCSELs) can be employed. For longer distances, single-mode OS1 and OS2 are used; single-mode fiber uses lasers to achieve higher speeds and further distances. Additionally, fiber optic cable terminated with different optical connectors (like SC fiber cable) are also widely utilized in data centers. Fiber optic cables are critical to network performance as they do more than join servers and connect switches. They are the foundation of your technology environment. Thus it is important to have the best options for your optical network. In commercial building installations, an optical fiber cabling link is typically assembled in the field at the job site. The cable is pulled in from a reel of bulk cable, cut to length, attached to the patch panel housing and terminated with field installable connectors on each end. The terminated ends are then loaded into adapters in rack or wall mountable housings. Finally, the complete link is tested for continuity and attenuation. The most efficient optical infrastructure is one in which all components are pr-eterminated in the factory see in the above picture. 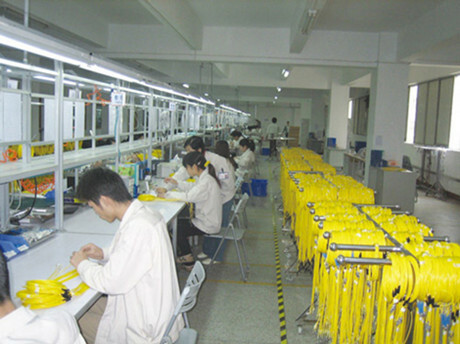 Connectors are installed, tested and packaged in the factory. The installer unpacks the components, pulls the preconnectorized cable assembly into place, snaps in the connectors and installs the patch cords connecting to the end equipment. This is the fastest installation method and provides the best solution for turning up servers quickly and lessening the risk of not meeting the customer’s availability expectations. The design and product selection process remains the same with selection and specification of fiber type, fiber count, cable type, connector type and hardware type appropriate for the environment. There is no absolute solution to utilizing fiber or copper cabling for data centers. Twisted pair cabling wins the broad acceptance among users owing to the horizontal medium, low initial cost, and the ability to deliver higher data rate LAN services and the flexibility to use one medium for all services. Therefore, in the majority of situations, copper cabling remains the preferred choice for the final link to the desktop, and other short links such as those found in data centers. However, with the speeds increasing and more copper cables installed, copper-based LANs will require more complex and expensive electronics. It might be inappropriate or impractical to implement in many current building environments. While fiber optic cabling’s significant bandwidth distance gives it advantages over twisted pair in centralized architectures. Thanks to its high performance and high density, fiber optic cabling becomes an important factor where equipment density and heat dissipation are a concern. To sum up, whether to use copper or fiber for network cable type, the data center must have the best and fastest cabling. FS.COM offers a variety of integrated, holistic physical infrastructure solutions for data center intra-rack and inter rack applications. All the products including high speed interconnect optics, cable assemblies, cable management hardware etc. guarantee a reliable and stable performance for your network. If you have any requirement, please send your request to us. ← Stay For 40Gbps Network or Scale Up to 100G?